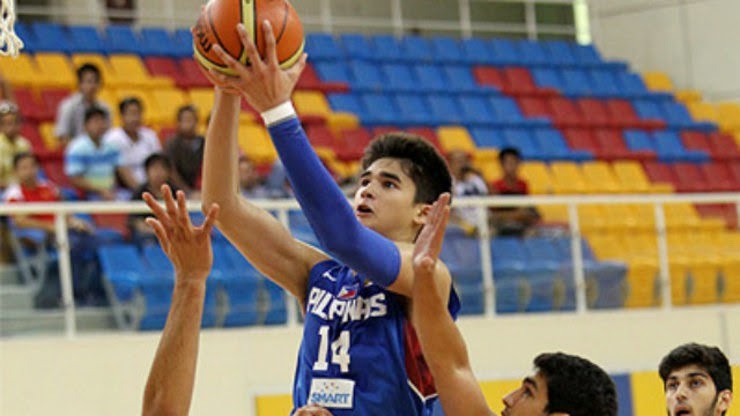 In FIBA Asia U18 the Batang Gilas defeats Jordan team by 25 points in Doha Qatar. 4 Gilas players had a double digit points including Ranbill Tongco who leads the team with his 24 points 2 assist and 2 rebounds, Caracut with 11, Desiderio 10 and Mosqueda 10 also. While the dunk Champion Kobe Paras helped with 6 points but had a big 9 rebounds, 2 assist and 3 steals. In Jordan Team Alabed Allat lead his team with a big 32 points, Abuaboud added 11 but the remaining helped by the other teammates not enough to win the game. This is the good opening game for the Batang Gilas U18 team. They fight, and had their first win despite of our Gilas Pilipinas who loses in their Tune-up games in France and Spain. The next game of Batang Gilas is on August 21, 2014 against the South Korea team.